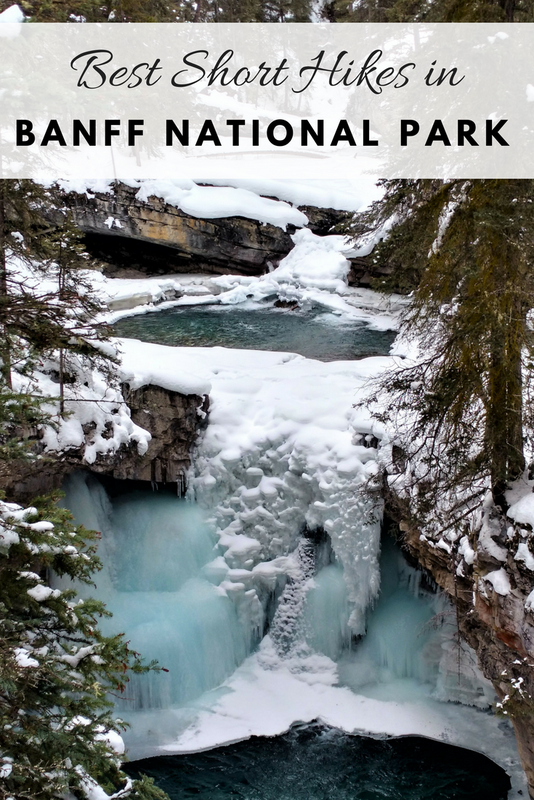 Part 1 covers the best short hikes near the town of Banff (including Lake Minnewanka area), Sunshine Meadows, and Johnston Canyon. Part 2 (coming soon) covers the best short hikes near Lake Louise, and on the Icefields Parkway. 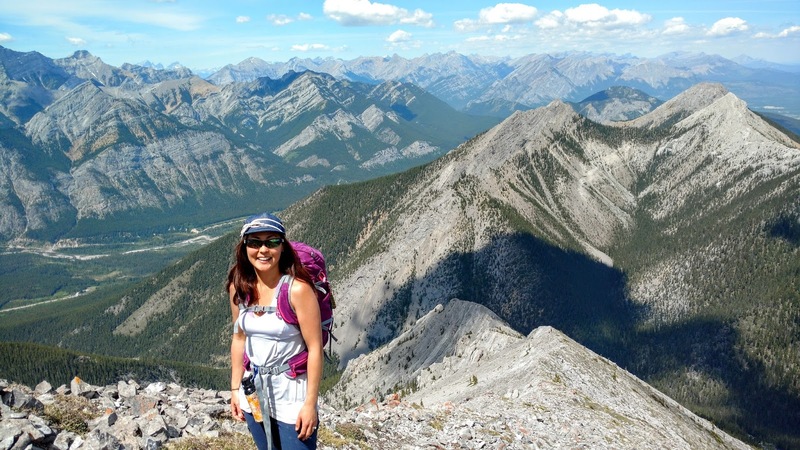 Sanson's Peak, an outlier of Sulphur Mountain, offers panoramic views of six mountain ranges. While meterologist Norman Sanson, for whom the peak is named, hiked this mountain (6 km one way, 655 m elevation gain) year round to get to work, visitors can easily access the peak via a ridgetop boardwalk from the top of the Banff Gondola. The trail ends at the Sulphur Mountain Cosmic Ray Station, a National Historic Site. Insider tip: Go midweek or off season to avoid the crowds, then warm up at Upper Hot Springs! Kids 5 & under ride the gondola free! Tunnel Mountain is a great first summit as it's short and scenic. Since the mountain doesn't have a tunnel - the Canadian Pacific Railway decided not to build one - I prefer its Stoney name: "Sleeping Buffalo." Check it out the next time you drive by on the Trans Canada (from the north and east); it really does look like one! For more info on this hike, read our complete trip write up here: Tunnel Mountain: Hike to the top of a mountain from town! 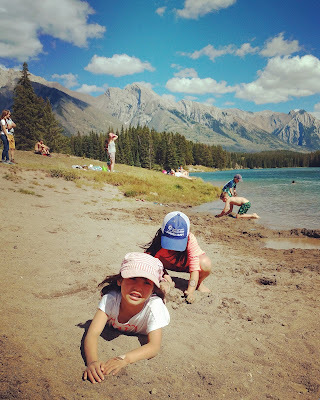 Insider tip: Look for geocaches as you hike and earn a Banff National Park Geocoin! Details at Banff National Park - Geocaching. Learn how to geocache with your smartphone here. Vermilion Lakes is the place to go for the perfect photo of Mount Rundle. 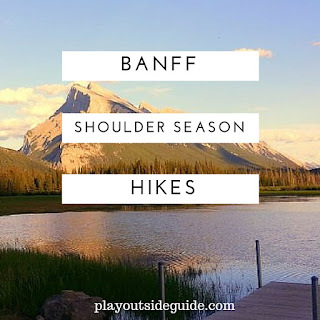 Watch the sun rise behind Mount Rundle, or catch golden light on the peak before sunset. To get there, do the Fenland Trail loop counter clockwise through the spruce trees, and look for a side trail to Vermilion Lakes Road. Continue westward to the dock. Return the way you came and complete the loop through the spruce trees keeping an eye out for beavers in the creek. Stroller friendly? Yes, but use caution on Vermilion Lakes Road as it is narrow. Insider tip: Bring your standup paddleboard and catch the sunset from the water! You can drive Vermilion Lakes Road and park at a roadside pullout. Note that limited parking is available on summer weekends. 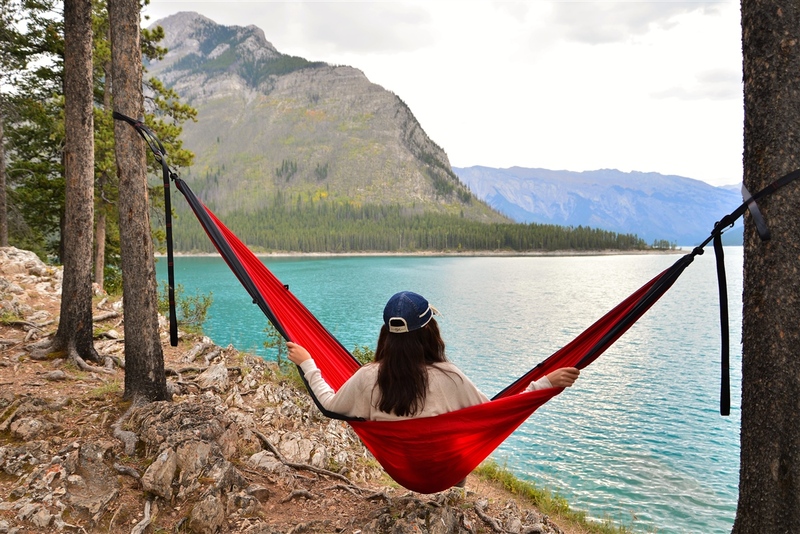 Enjoy views of Mount Rundle and Cascade Mountain as you circumnavigate Johnson Lake, then go for a paddle and have a picnic at the popular Day Use Area. Near the beginning of the hike, look for the rope swing and Billy Carver's old hermit cabin (near the SW corner of the lake, just off the main trail). Insider tip: The small, sandy beach is popular on a hot day. Arrive early to get a good spot! As you walk along the shore of Lake Minnewanka it's easy to see why the Nakoda call it "Lake of the Spirits." Ligh dances on the sparkling, turquoise water guarded by dramatic peaks. It's an easy walk on a wide trail to Stewart Canyon Bridge, the site of Marilyn Monroe and Robert Mitchum's famous kiss in the movie River of No Return. Keep an eye out for deer, bighorn sheep, and bears that frequent the area. Insider tip: There are lots of trees along the shore perfect for hanging a hammock! Stay a while and relax. Sunshine Meadows has been touted as one of the best hiking destinations in Canada for its epic views, summer wildflowers, and fall colors (larch trees turn golden). 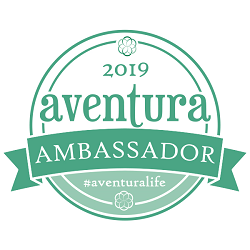 Your adventure begins with a shuttle bus or gondola ride to the Standish Chairlift. From the top, several amazing hiking trails through extensive meadows of wildflowers await, but the best, short hike is to stunning Rock Isle Lake. As the name suggests, there is a small, rocky island in the lake! Go in late July for the flowers, late September for larches. Insider tip: Book tickets in advance, especially if visiting on the weekend. 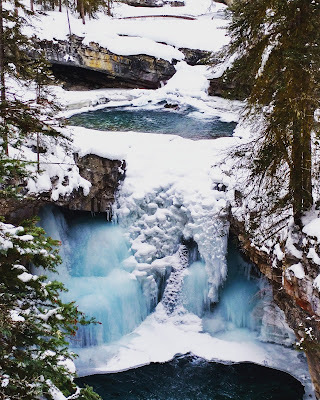 Johnston Canyon is a must-see when you visit Banff! It will quickly become one of your favorite hikes with its waterfalls and cliffside catwalk high above the river. Lower Falls boasts a turquoise plunge pool and unique viewing platform on the other side of a short tunnel. 30-metre (98 feet) high Upper Falls are most impressive in winter when ice curtains the cliff face, attracting ice climbers. Insider tip: Go in the off season to avoid the crowds! Wear microspikes or ice cleats in winter conditions as the trail gets packed down and icy. 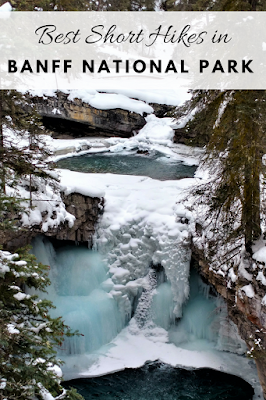 Stay tuned for The Best Short Hikes in Banff - Part 2: Lake Louise Area and Icefields Parkway. 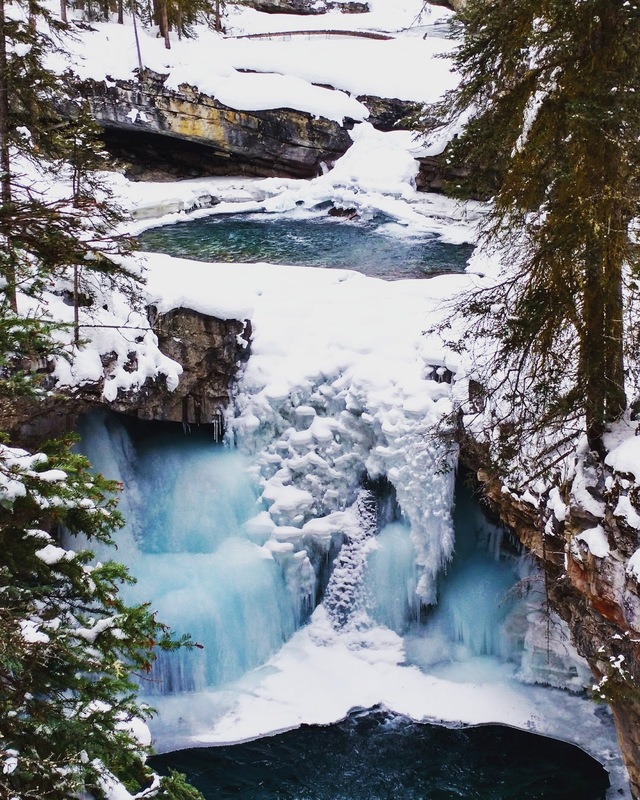 What is your favorite short hike in Banff?